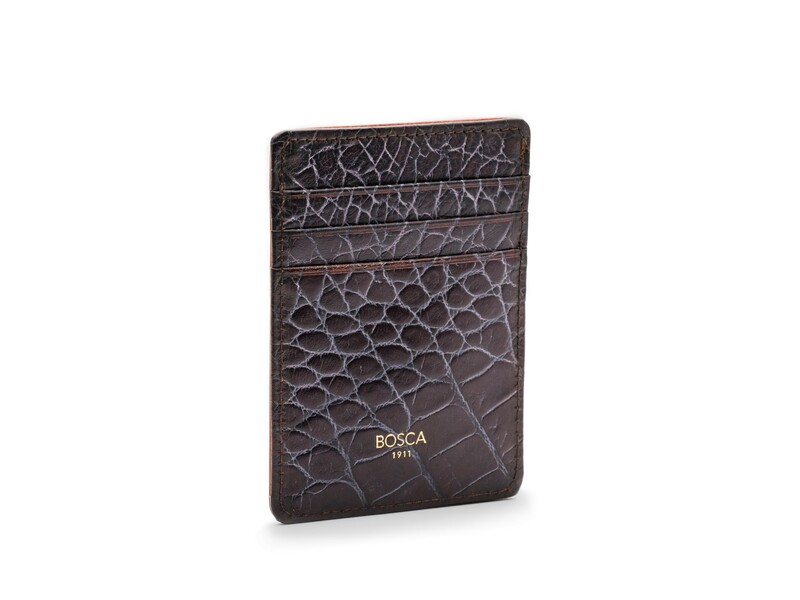 The Vintage Crocco Front Pocket Wallet is minimal in design and full of style. On the exterior is an Italian vegetable tanned leather with a "Crocco" pattern embossed. The Crocco leather is then sent through a two-step hand "tipping" process and waxed to achieve the "vintage" look. Contrasting the Vintage Crocco is our signature hand-stained, veg-tanned Dolce leather. If you are trying to slim down your accessories, this is the wallet for you. It is designed to be carried in your front pocket, giving your back pockets a much-needed break. 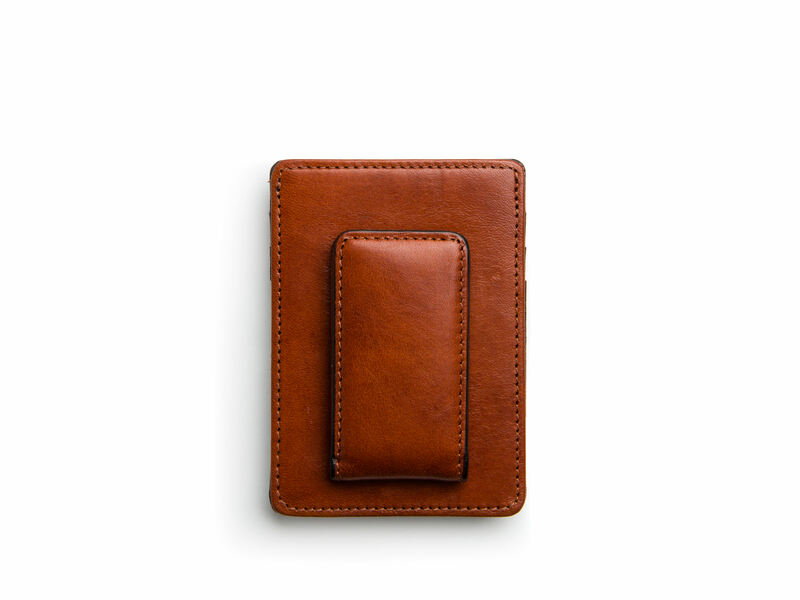 It has a money clip with two rare earth magnets ensuring your cash stays in place. The deep center well can house cash and cards. On the exterior, there are three additional card slots for credit cards, ids and loyalty cards. The Vintage Crocco Front Pocket Wallet is the perfect blend of modern minimalism and classic style.